The daredevil spin-off follows Frank Castle, the Punisher as he tracks down a hacker named Micro, to locate those who killed his family, while homeland security agent, Dinah Madani, tries to locate Frank. After exacting revenge on those responsible for the death of his wife and children, Frank uncovers a conspiracy that runs deeper than the New York criminal underworld. Now known as the Punisher, through the city, he must uncover the truth about injustices that affect his world. 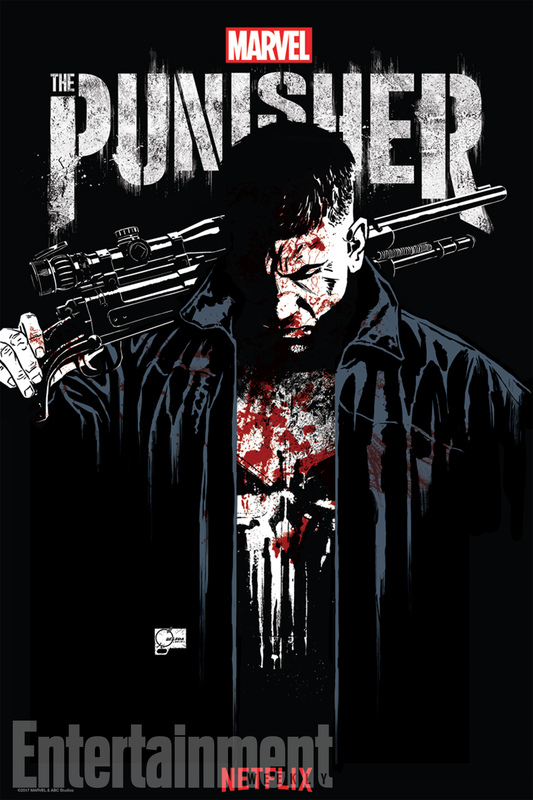 The Punisher is Netflix’s most violent series that Marvel has produced. Bullets are fired, blood is spilled, characters are abruptly killed and tortured, through the show’s 13 episodes. The Netflix series is as brutal as its main character, Frank Castle. Marvel’s other Netflix heroes have all maintained a boundary between committing violence, and sometimes, they adopt the “no kill” policy. The Punisher, created by former Hannibal executive producer, Steve Lightfoot, is a murderer. Frank sees the world in absolute terms; if he sees someone is committing evil, he has no problem ending them. Eventually, the punisher stumbles in its depiction of the homeland security team, led by agent Dinah Madani and her partner Sam Stein. At times, during this roller-coaster ride, it feels like Dinah and her partner are part of an entirely different show. The story of other characters on the show, however, feels forced at times. The Punisher’s storyline works so well on its own that sometimes it’s easy to forget its part of a much larger franchise. While Frank embraces his role as the Punisher, Billy is trying to “level up” in his world of villainy. He no longer wants to constantly have his life on the line; he wants to be the guy pulling the strings from a safe distance. Billy may not respect or fully trust Rawlins, but he does see him as a ticket to success. This overall a great revenge series, with great acting and characterization. Seeing Jon Bernthal play such an evil, arrogant character that has an incredibly twisted sense of right and wrong is very fascinating.